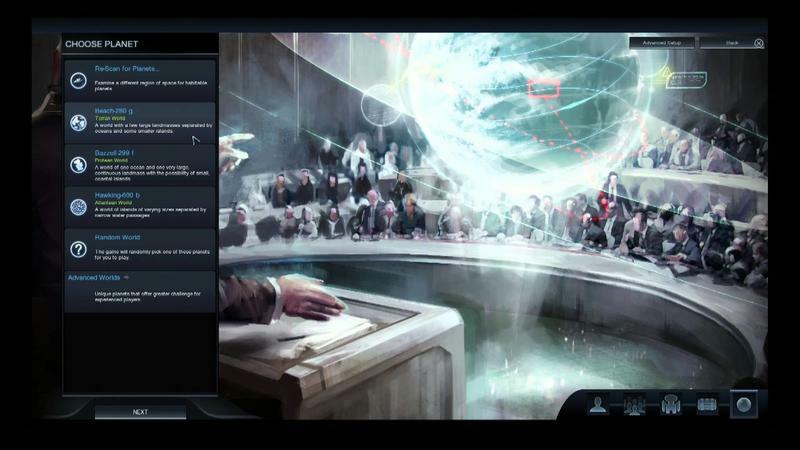 Firaxis took Civilization: Beyond Earth to Twitch specifically to show off the opening of the game, announce their own convention and take fans through some of the title's early gameplay. Here's the thing, this is for super core Civ fans. Be warned, you're gonna need a love for this series to get excited. The company took that broadcast and put it on its official YouTube channel for our post-broadcast consumption. The actual gameplay doesn't start until around the 30 minute mark. We actually see the two Firaxis reps start a game from scratch before they get into the nitty gritty of playing. This whole thing shows series fans exactly what they can expect from this new Civ. There are sponsors, colonists, spacecrafts, cargo and planets to consider before hopping into an actual civilization. I won't lie, I'm anxiously excited for Civilization: Beyond Earth. I'm excited for what it will bring to my tactical, turn-based gaming menu. I'm nervous for what it will do to my freetime. Terrified, really. Civilization: Beyond Earth will hit the PC platform on Oct. 24, 2014. Stay tuned.